In having bought and sold several homes, I know how important it is to make an educated decision when choosing a real estate agent. 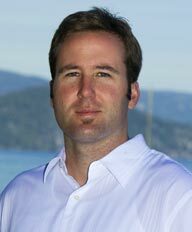 When selling my home in South Lake Tahoe, I chose Mark Salmon, because I felt he was the best real estate agent in town. After the wonderful job that he did, I believe I was right! Mark Salmon took the time to research the current real estate market, the trends in each local area, and knew how to price my home for sale so that I would receive the maximum amount of money and it would sell quickly. Mark Salmon was trustworthy, professional, helpful, understanding of my personal needs, and most of all, knowledgeable as a real estate agent and local member of the community. He held open houses, was respectful of my family as we were still living in the home, yet kept in mind that it was our goal to sell the home and be able to move away within a limited amount of time. I am thankful that I chose Mark Salmon as my real estate agent. I truly believe that I wouldn’t have had such a good selling experience without him. I highly recommend Mark Salmon as an agent to help people to buy and sell their homes. "Super competent agent! Mark reallys knows the Tahoe area, and he was extremely responsive and helpful at every step of the process of shopping, negotiating,... continued"